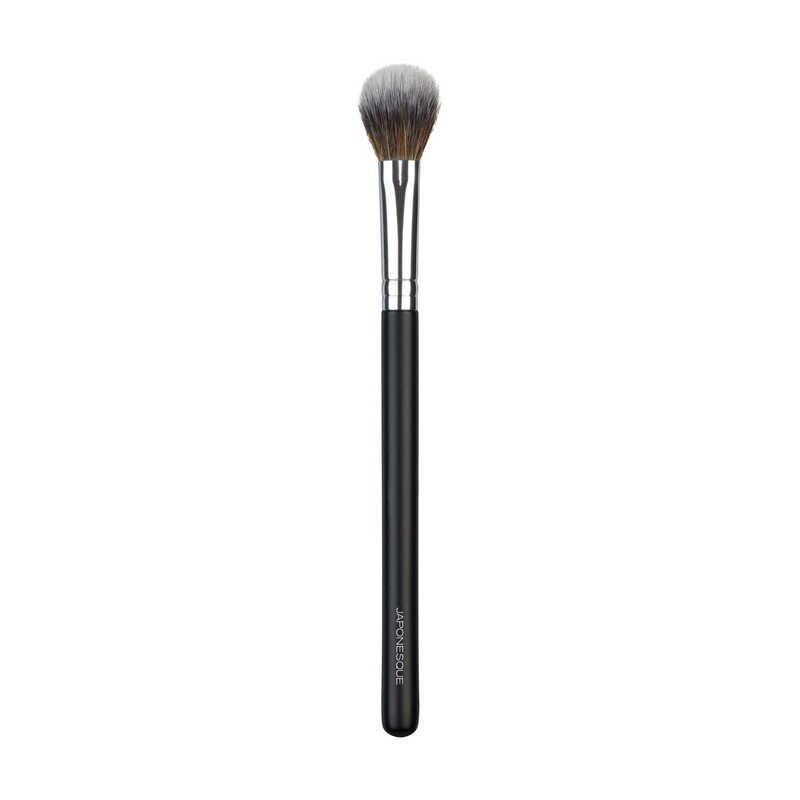 The JAPONESQUE® Rounded Foundation Brush is uniquely designed to apply foundation for a flawless finish. 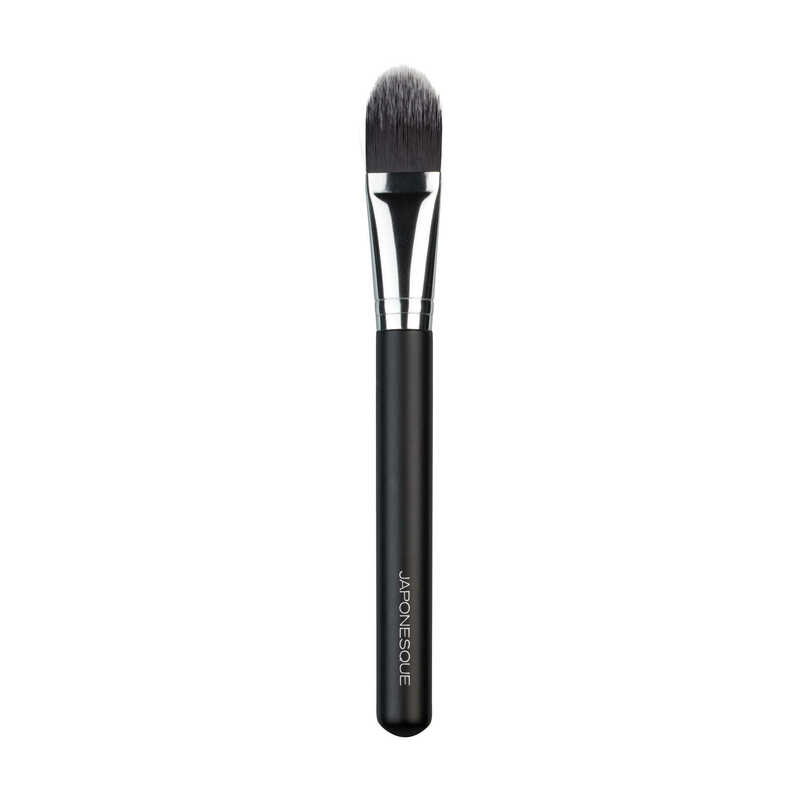 The flat, rounded brush is specifically designed to reach into contours of the face for precision application around eyes, nose and chin. 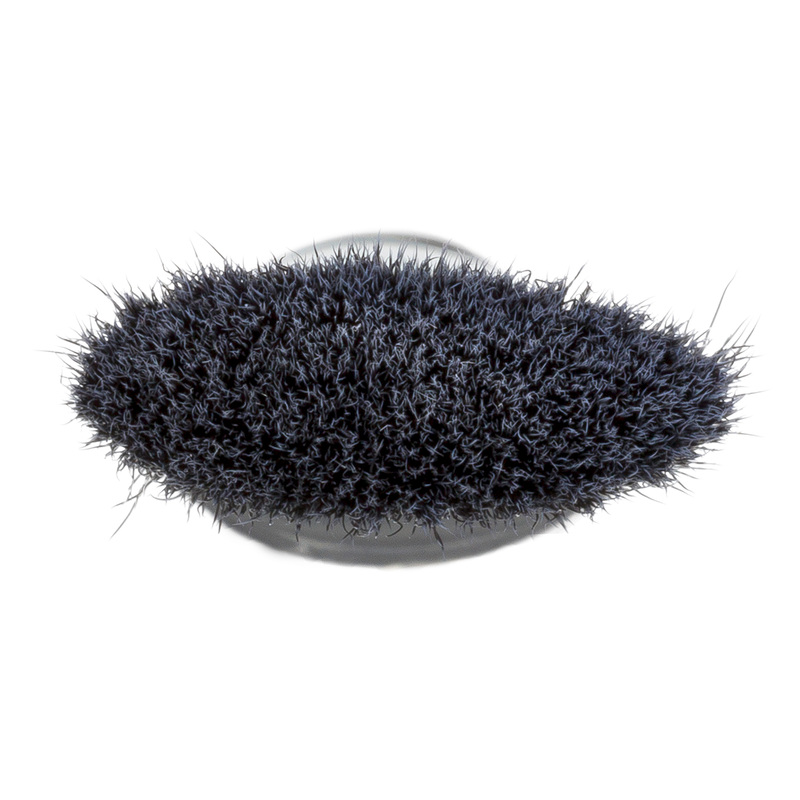 The soft hairs hold their shape yet flex to the face for complete coverage. 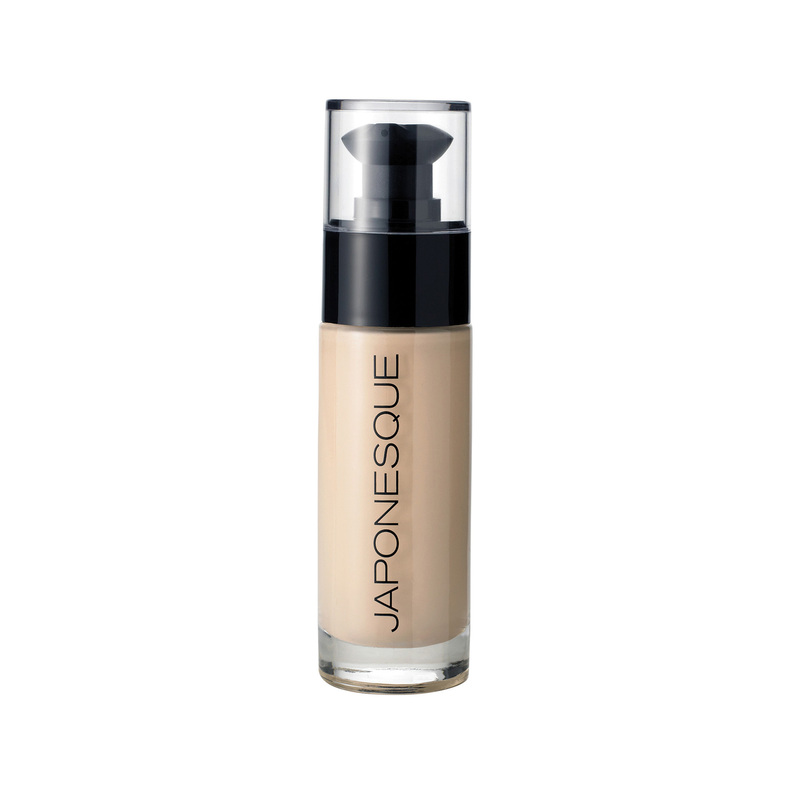 Ideal with JAPONESQUE® Liquid Foundations. 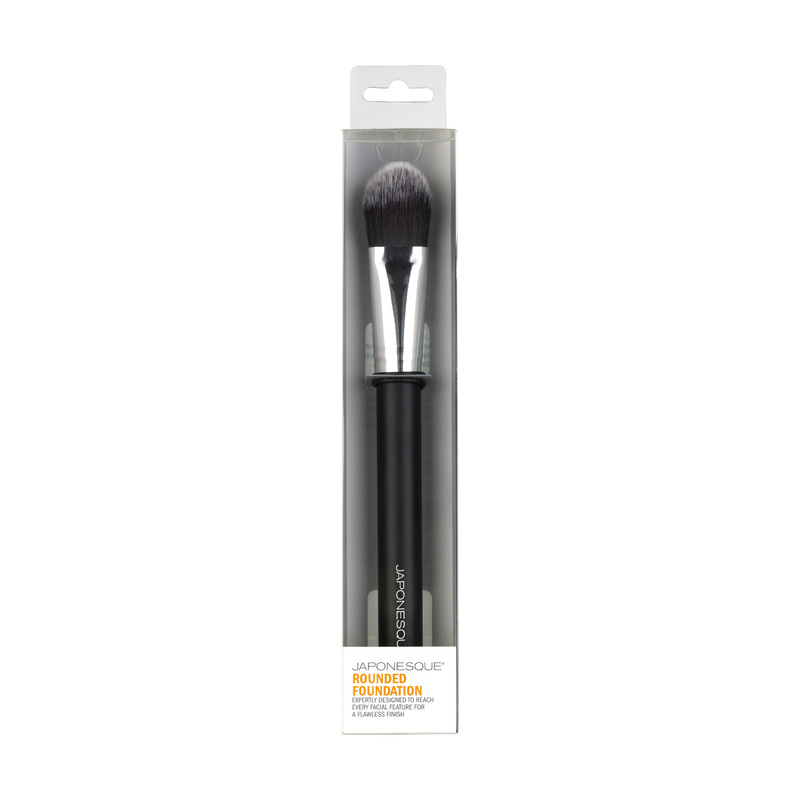 Apply foundation with the flat surface of the brush and use the curved tip to reach into smaller corners of your face. 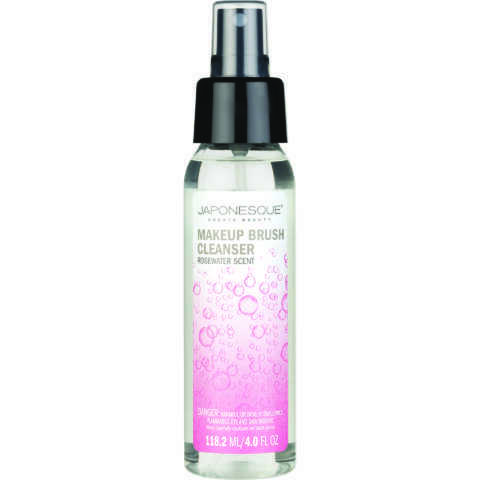 Can also be used to apply concealer with the curved tip. Love this brush! I use Japonesque Luminous foundation and it works perfect with this! 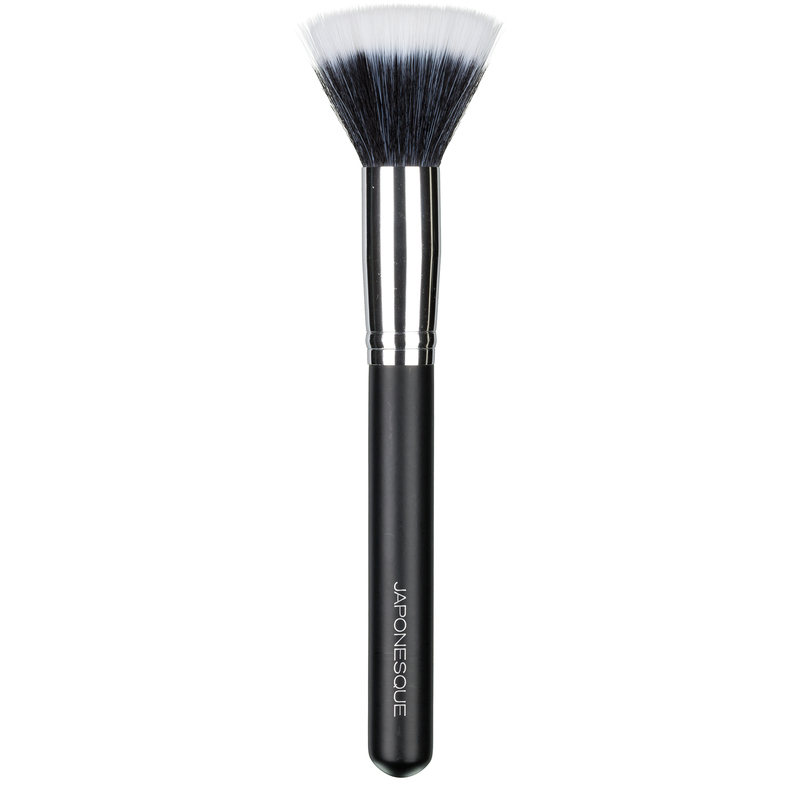 I’m a totally makeup brush junkie and this brush takes the cake. Works so great with my liquid foundation! My foundation goes on smoothly – i’m looking flawless baby!